Anyway, it's an organic, earthy level with lots of white rock, brown rock, and lovely green ZIMMER, with a Hellish intermission that fields the biggest fights that Megalyth has to offer. I don't think that there's enough material out there to really pin down the author as having a particular style, but he definitely has the art of making interesting naturalistic sections down, in some way echoing similar portions in Lakeside. 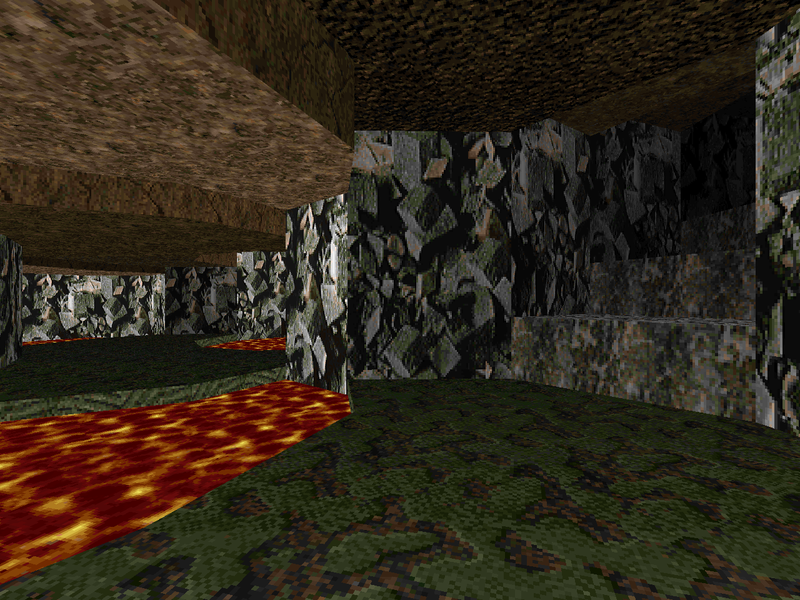 Breaking it up with the inferno cavern is another intelligent decision that keeps the visuals from settling in and feeling static, and the way that the space is reused for several distinct battles mirrors the break in aesthetics with a long pause in flow. Combat starts out kind of light with shotgun and Tyson fare; you get an early berserk pack which you can put to pretty good use, and it's handy for dispatching those occasional solo revenants. 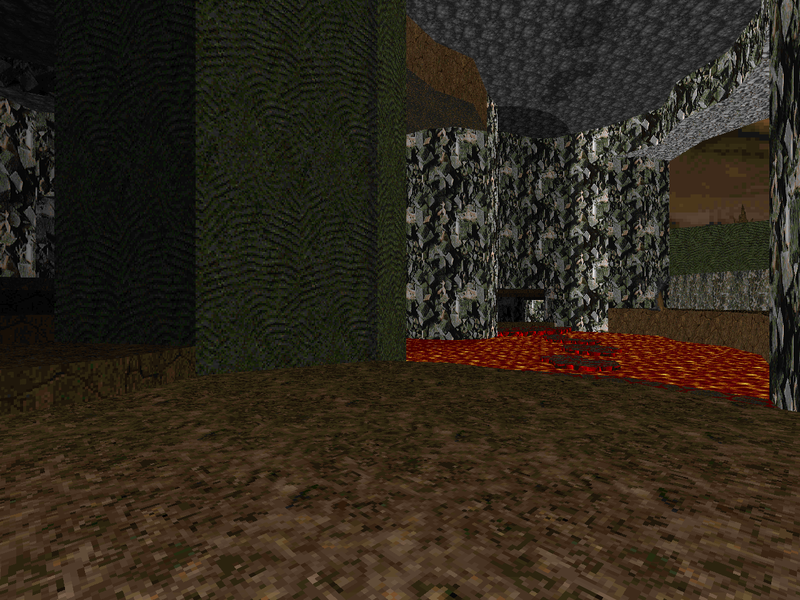 The segments of cavern are gated off by one-way descending platforms that ferry you to the next tier of play. Once you reach the Hell portion, things heat up, and you're afforded a combat shotgun. It's more fun to let the baddies beat on each other a bit, though, especially since you'll be treated to a pain elemental and an arch-vile in the waves that immediately follow. 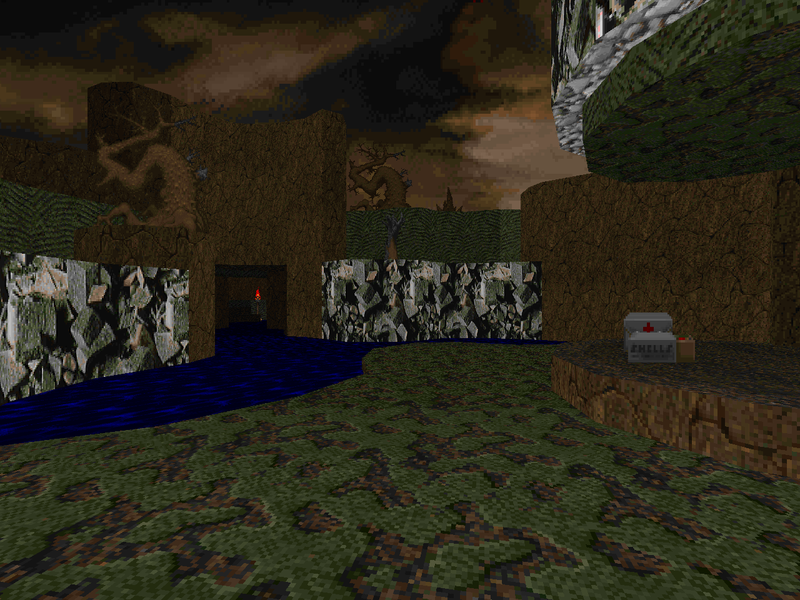 That's pretty much the high-water mark for the map, though there's one last shock with two barons, a Hell knight, and a revenant in a really tight space, but that shouldn't be much trouble unless you run out of ammo partway through. 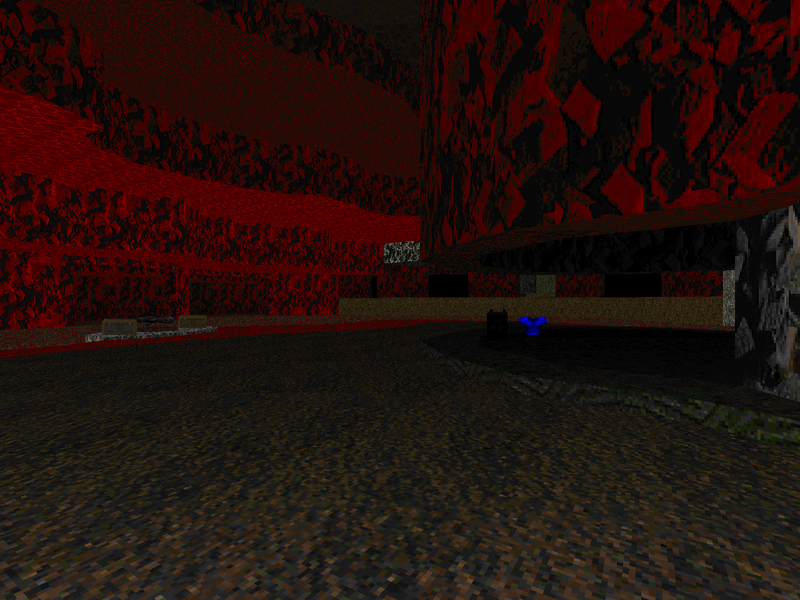 Esselfortium's Birthday Cave is a linear but fun cavern crawl from one of a promising stable of authors. Sure, it's not groundbreaking (except perhaps in the literal sense), but it's certainly pleasing, and isn't that the best any Doomer could ask for their birthday?